Have you ever been stranded at an airport in a major city waiting for your flight for hours and hours? While you were in “no man’s land” you must have watched the city through the windows imagining you walked the streets and museums rather than spend time sitting on airport benches. You surely won’t have that kind of problems in Istanbul. 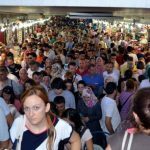 All passengers who transit Turkey and have 7 hours to wait between flights can go on an exciting tour of the city instead of wasting their precious time at the airport. The tour is called “Tour Istanbul” organized by the country’s largest airline company Turkish Airlines. It lasts six hours and the best thing about it is that it’s free. 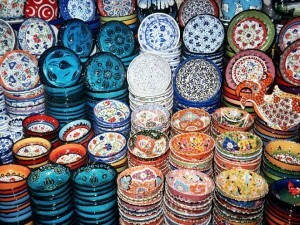 Six hours is enough time to enjoy a piece of Istanbul and wish you would come back again to try everything on the menu. We asked the organizers how they came up with the idea of organizing such tours for passengers who have connecting flights in the biggest city in Turkey. – Our company is based in Istanbul and we connect with many world destinations through Ataturk Airport. We decided to provide a tour of the city to those passengers who have, so to speak, bad connections, so they can learn about the history of the city and have an exciting time instead of sitting at the airport waiting for the flight – say “Tour Istanbul” organizers for Balkon3. 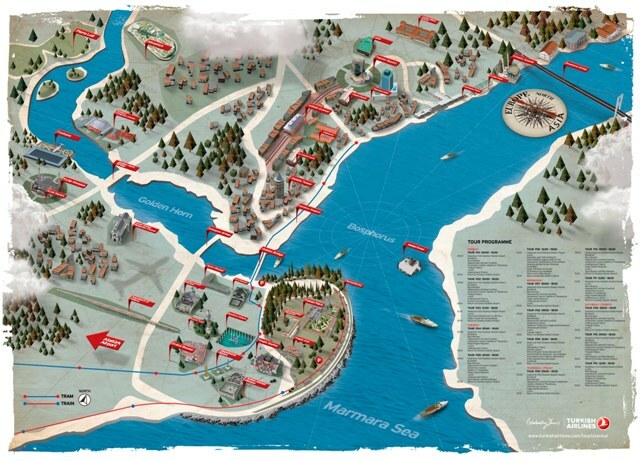 There is great interest in these tours and passengers are satisfied with how their time is organized – they add. – Sometimes, if they have to wait a long time between two flights, travelers prefer to use hotel services, but our passengers prefer to enjoy a tour around the city, even though they can be tired they still want to take a look of beautiful Istanbul – explain the organizers. The tour includes breakfast or lunch for all passengers, free of charge, and in this way passengers get to taste traditional Turkish cuisine which creates great memories. – We believe that in this way we are promoting not only Istanbul but also tourism in the whole country, because we constantly receive e-mails, phone calls and messages from around the world – say “Tour Istanbul” organizers. Serpent Column, also known as Serpentine Column or Delphi Tripod, is an ancient bronze column at the Hippodrome in Istanbul, Turkey. This column is one of the oldest monuments in Istanbul. It was dedicated to the god Apollo and relocated to Istanbul from its original place in the city of Delphi, Greece. The Istanbul Hippodrome was not one of the most spectacular sites in the city, but it represented the center of social and political life in the Empire’s capital, a favorite gathering place for people from the city and an arena for gladiator fights and chariot races. 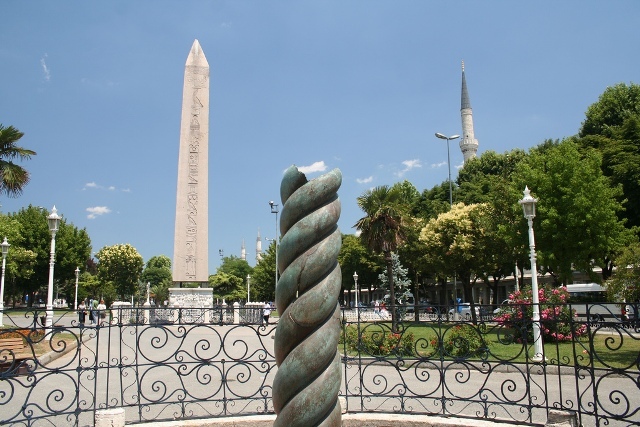 Obelisk of Theodosius is an ancient Egyptian obelisk located at the Hippodrome, which is now known as Sultan Ahmet Square in Istanbul, Turkey. It was built by the Roman Emperor Theodosius I in the 4th century AD. The original obelisk was erected between 1479-1425 BC at the great temple of Karnak. The Roman Emperor Constantius II (337-361) brought it to Alexandria to celebrate the 20th anniversary of his rule in 357 AD. The obelisk remained in Alexandria until 390, when Emperor Theodosius I issued a decree that it be transferred to Constantinople and placed in the Hippodrome where it stands to this day. 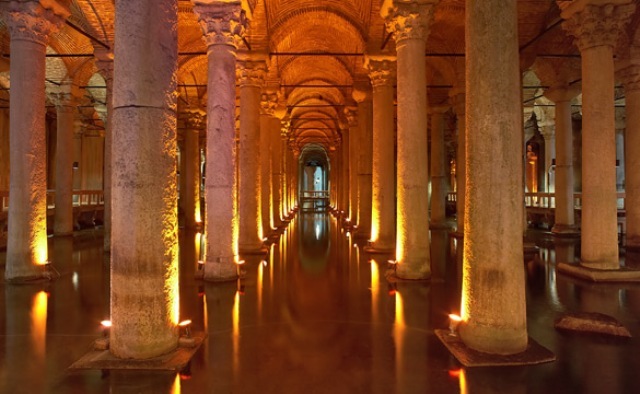 Cistern Basilica museum is located in Istanbul, Turkey. During Byzantine times the underground cistern supplied the city of Constantinople with water. 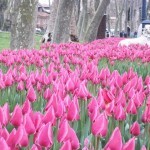 It is located between the Hippodrome and Hagia Sofia and is famous for its columns. The tank is 146 meters long, 65 meters wide and covers an area of ​​9,800 m2. 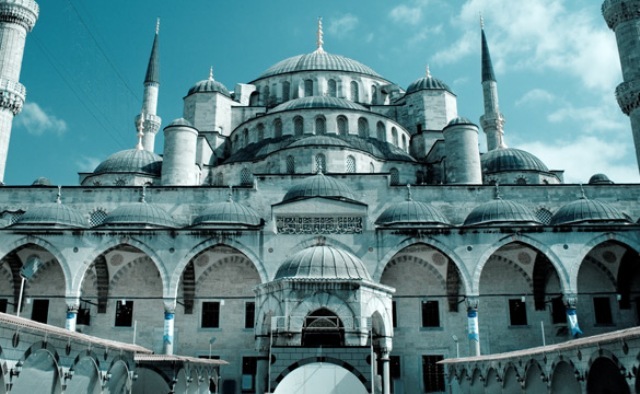 Sultan Ahmed Mosque, also called the Blue Mosque, is a Muslim temple in Istanbul. It was built by the architect Mehmet Aga Sedefkar at the order of Sultan Ahmed I between 1609 and 1616. Because of the colors of the tiles and porcelain used to build it – blue, green and white – in Europe it is also known as the Blue Mosque. Sultan Ahmed Mosque is the first mosque in the Ottoman Empire that has 6 minarets. The German Fountain is a gazebo styled fountain in the northern part of the old Hippodrome. It was built to commemorate the anniversary of the visit of the German Emperor Wilhelm II to Istanbul in 1898. Originally it was built in Germany then in 1900 transported piece by piece and assembled in its current location. Topkapi Palace is a palace that was the administrative centre of the Ottoman Empire between 1456 and 1853. It was built during the reign of Sultan Mehmed II. The palace served as a venue where they held public conferences, councils and parties for the sultan, but now it is a museum that has an invaluable collection of treasures and works of art. 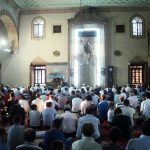 It houses the sword of the Prophet Muhammad. 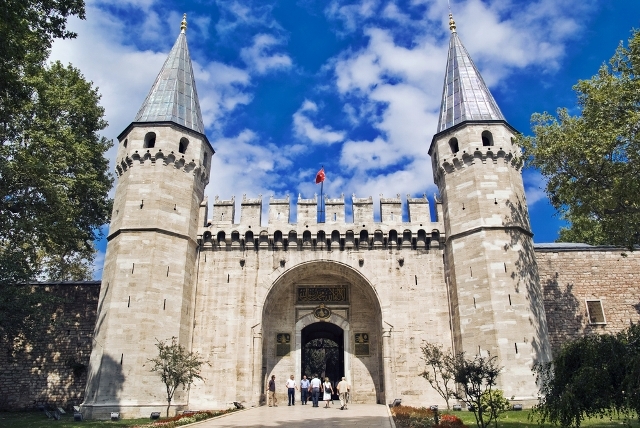 Topkapi Palace is one of the biggest tourist attractions of Istanbul. 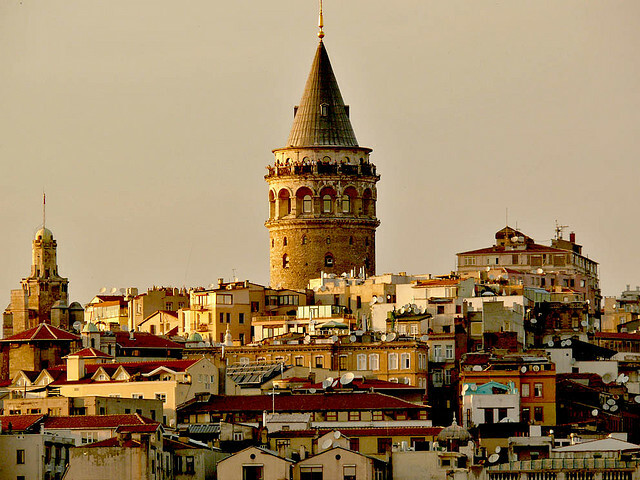 Galata Tower is a medieval tower located in Galata district near the Golden Horn. It was built of stone and is 66.90 meters high (62.59 m without decorations on top). At the time it was built, it was the tallest building in the city. If you don’t visit the tower and look at the city through “its eyes” you haven’t seen the real Istanbul. 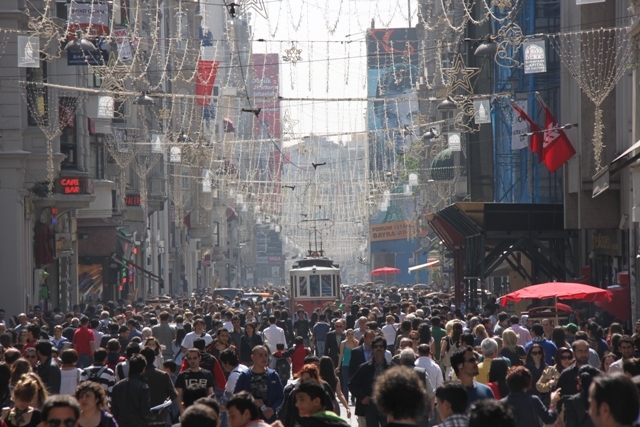 Istiklal is one of the most famous boulevards located in Istanbul, in Beyoglu district near Taksim Square. It is about three kilometres long and it is believed that during the weekend about 3 million people walk down the boulevard. Beyoglu district is located in the European part of Istanbul. 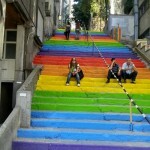 It is in the so-called historic peninsula of Constantinople by the Golden Horn. During the Middle Ages the area was called Pera and that name was used until the creation of the modern Republic of Turkey. 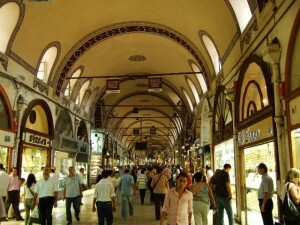 The Grand Bazaar or Covered Bazaar is one of the largest and oldest covered markets in the world. The complex consists of 12 main buildings with 22 gates on 85 streets, which attract between 250,000 and 400,000 visitors a day. For reservations and further information go to: http://www.istanbulinhours.com.